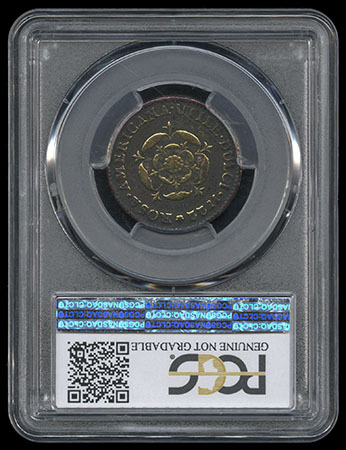 1722 Rosa Americana Penny. "UTILE DULCI". 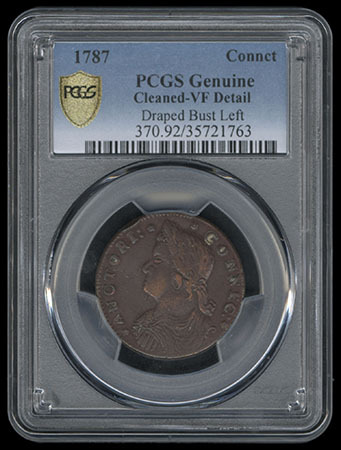 PCGS "Cleaned - Fine Details". 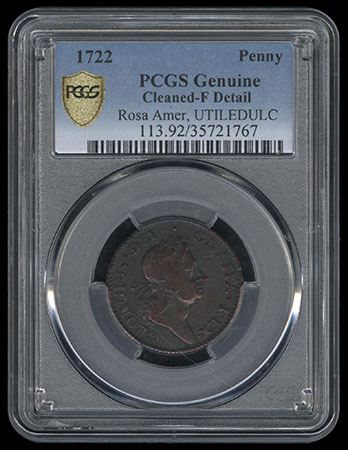 1722 Rosa Americana Penny. "UTILE DULCI". 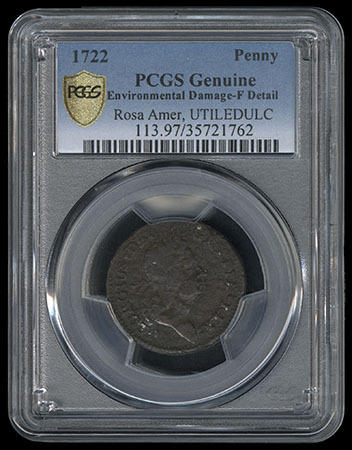 PCGS "Environmental Damage - Fine Detail". 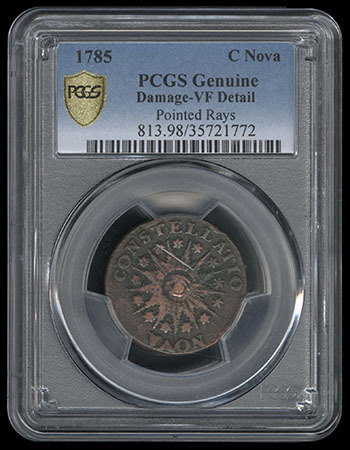 1785 Nova Constellatio. Blunt Rays. 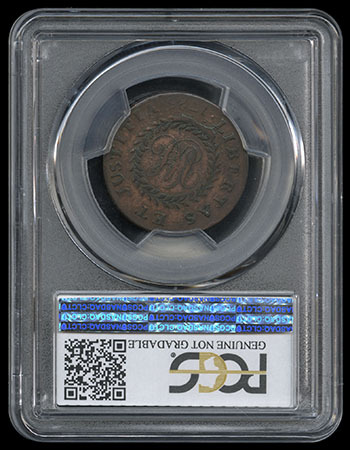 PCGS "Cleaned - Very Fine Detail". 1785 Nova Constellatio. Pointed Rays. 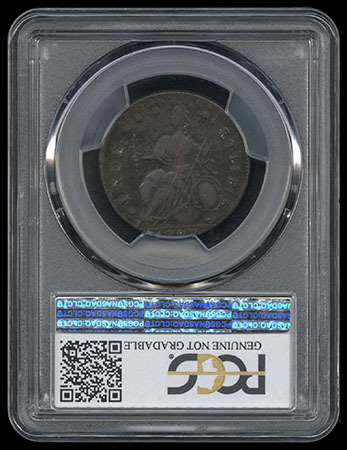 PCGS "Damaged - Very Fine Detail". 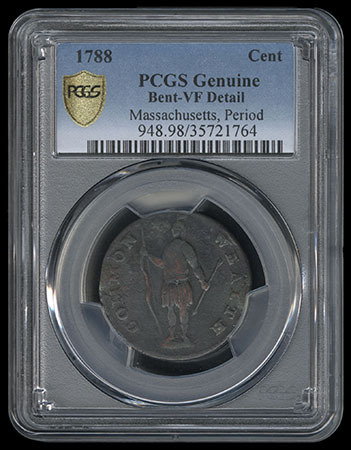 1788 Massachusetts Cent. Period after "Massachusetts". 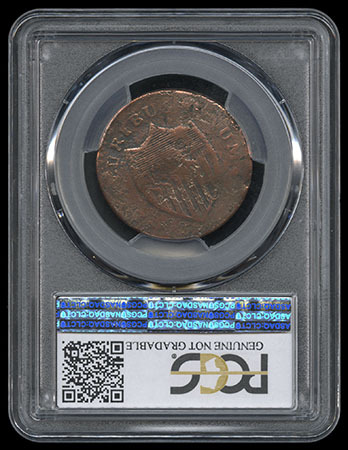 PCGS "Bent - Very Fine Detail". 1787 Connecticut. 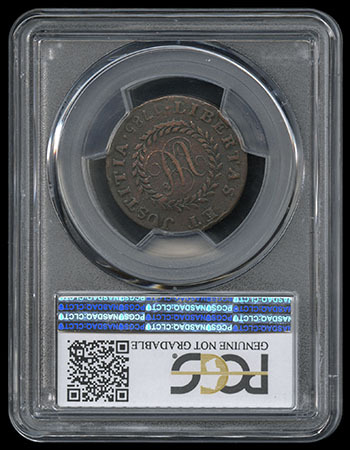 Draped Bust Facing Left. 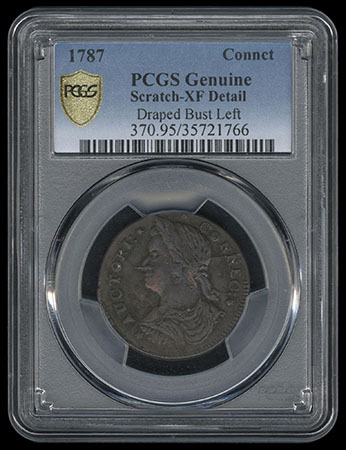 PCGS "Scratched - Extremely Fine Detail" . 1787 Connecticut. 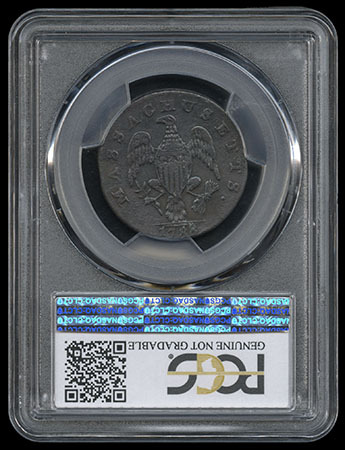 Draped Bust Facing Left. 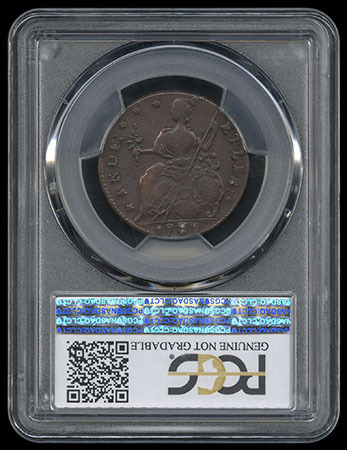 PCGS "Cleaned - Very Fine Detail" . 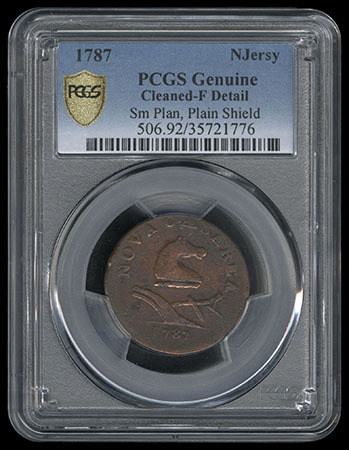 1786 New Jersey. Narrow Shield, Curved Plow Beam. 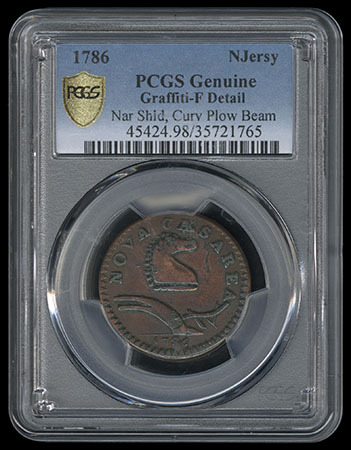 PCGS "Graffiti - Fine Detail" . 1787 New Jersey, Deer Head, Small Planchet. 24. 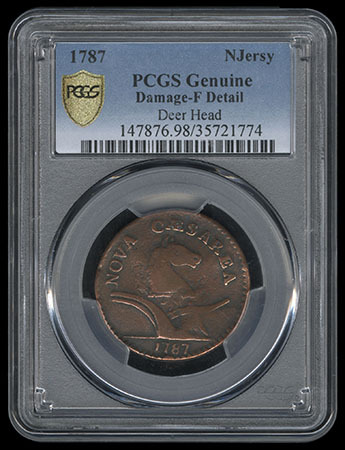 New Jersey, 1787, PCGS _"Damage - Fine Detail". 1787 New Jersey. 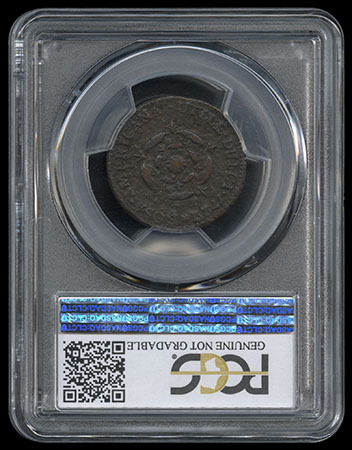 Small Planchet, Plain Shield. 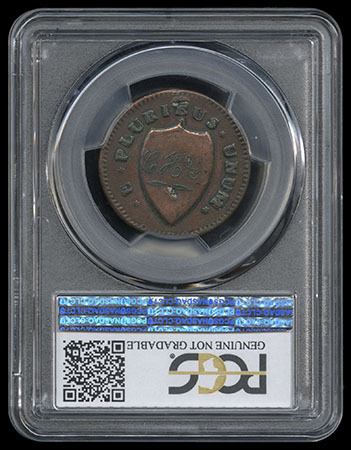 PCGS "Cleaned, Fine Detail".